Kevin Hall is a highly sought after business consultant, speaker, and coach. He has been recognized for his ground breaking approach to uncovering the hidden, and often secret, meanings of words. 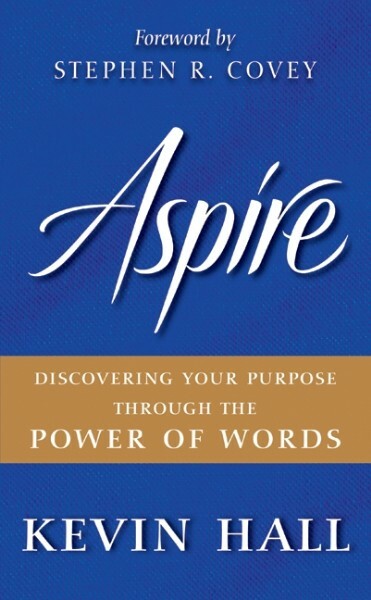 In his book, Aspire: Discovering Your Purpose Through the Power of Words (William Morrow), he teaches readers to discover the purest definitions of words, and develop a new leadership vocabulary. By focusing on eleven specific words, Aspire reveals how to use words as building blocks for achievement. Hall has recently been the keynote speaker for several large hospitality, leadership, and network marketing conferences with audiences of 3,000 or more attendees. He frequently receives feedback that he is the best speaker the company or organization has ever had. Hall is a former partner in Franklin Quest, makers of the Franklin Day Planner, a company evolved into Franklin Covey. As Vice President of Sales and Training, he helped fuel Franklin's worldwide growth. He is also a cofounder of the Statue of Responsibility envisioned by Dr. Viktor Frankl, the author of Man's Search for Meaning. Hall is credited with wordsmithing, and trademarking, the original slogan for the 2002 Olympic Winter Games, "Ignite the Fire Within." 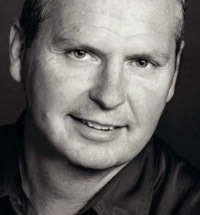 He also serves as a performance coach for a select group of leading CEOs and Olympic athletes. Hall has been featured in Forbes magazine, Worth magazine, Nation's Restaurant News, Restaurant Business, and on the Food Network. He lives with his wife and children in a beautiful mountain top community outside of Salt Lake City. He also works out of his writing studio near the ocean in sunny Southern California. "Kevin, your keynote speech was the highlight of our Kick-off meeting in Orlando. You are by far the best speaker the company has ever had and I have been with the company for 17 years." "Kevin, I thoroughly - absolutely thoroughly - loved your presentation! The videos complimented your talk so completely that I found tears streaming down my cheeks. Thanks so much for who you!!" "Having ongoing experiences with major keynote speakers through our Leadership Conferences Division provides a clear benchmark to evaluate and provide my highest recommendation for Kevin Hall. He has been one of our highest rated speakers ever. Kevin's ability to connect with audiences of all sizes, economic diversity, and most importantly delivering pertinent and useful information is second to none." "Kevin, your presentation at the Nu Skin 'Kickoff' event in Orlando was one of the most awe-inspiring, yet humble presentations I have ever heard. Over the past 48 years I've listened to many inspiring messages but you and Zig Ziglar are right up at the top." "Kevin, your words touched me deeply. I haven't cried that much during a presentation in a long time. As a professional coach and student of success for many years, I can honestly tell you that I have heard 100s of speakers, many of them amazing, but I have never heard anything like what you shared - your message was so unique and wonderful!" "Just as I broke new ground in human development over 20 ago by uncovering the habits that make for a meaningful and effective life, Kevin Hall is breaking new ground by uncovering and revealing the true intent and meaning of the words that make up those habits." "This revealing book takes you on a journey of discovery filled with recurring 'wows' and 'ahas!' Uncovering the true meaning of a core word is like turning on a light switch. Aspire should be broadly read and generously shared." "Kevin Hall shows us the surprising power of words - tools we can use to shape new thoughts and beliefs - to help us change, and create something better for ourselves and our planet." "Kevin Hall's ability to unlock human potential is rare and extremely valuable. In Aspire, he unveils a completely new paradigm for personal development and growth that is dynamic and life changing." "I love great books that have changed my life. Aspire is one of those truly great books. Kevin Hall is right up there with Og Mandino and Napoleon Hill." "I literally had chills as I read Aspire and unabashedly give this work my highest recommendation and support. It's an absolute winner!" "More than just an engaging sojourn into etymology, Aspire has the power to help individuals and teams focus on their true purpose and reach their best and highest aspirations." "This book brings to light the power of language to not only inform, but also to realize the potential of a life fully lived. The revelations in Aspire are necessary tools to aid every passage of life." "Kevin Hall's book is like Og Mandino for the 21st century."